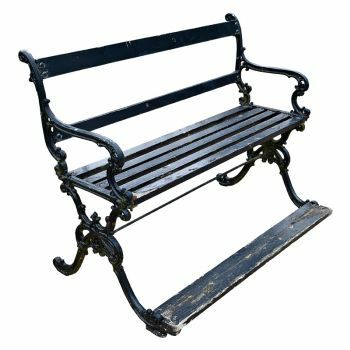 This Coalbrookdale bench has wrought iron ends and painted wooden slats. 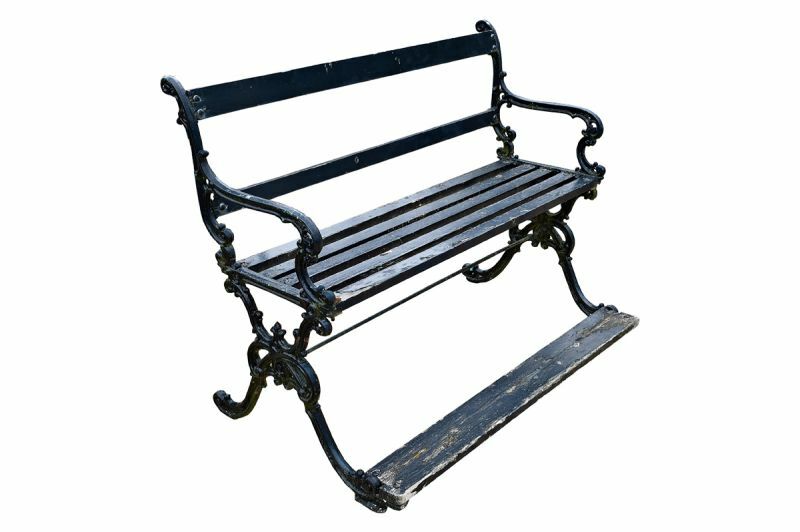 The flowing lines of the cast iron ends create a simple yet beautiful structure. The foot rest is an interesting touch, providing added comfort.